People are always confusing the terms balayage and ombre. In all actuality they do look similar. However there are some key differences to the two hair styles. 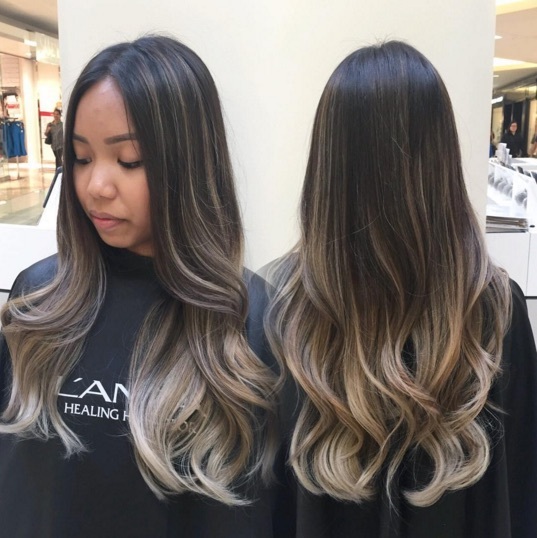 Ombre and balayage are among the newer trends in hair color. It’s common for ombre or balayage to include dark roots and blonde ends, however there are endless possibilities when it comes to color. Ombre– the ombre look is when there is one color for the roots and another color on the bottom of the hair. Usually the ombre line is towards the middle or bottom of the hair. This look is considered more of a sombre. It’s somewhere in between the ombre and balayage. By far my favorite look is the balayage. Balayage uses more highlights and lowlights. Typically the term balayage refers to hand painting in the highlights and lowlights to frame the face among other things. However, this look can be used by foiling as ombre and sombre are done. This is an example of balayage, you can see how there are more distinct highlights and lowlights but overall the roots are still darker than the ends. Cost- This definitely depends where you go. However ombre is by far the cheapest because it generally is less work for the hair dresser. When I had my hair ombre’d it cost me $125, a sombre takes slightly more work and my hair dresser charged me $170 for a sombre. Now, if you’re interested in a nice balayage prepare to pay for it. I had a really nice balayage done that ended up costing me $200. Also you need to consider tipping, an ombre usually takes like 1-2 hours. My balayage took 4.5 hours. Being that my hair dresser did a ton of extra work and it looked awesome I tipped her $35. Overall, you need to weigh your options, keeping in mind cost and the difference in the look, everyone should do their research and choose what’s right for them! 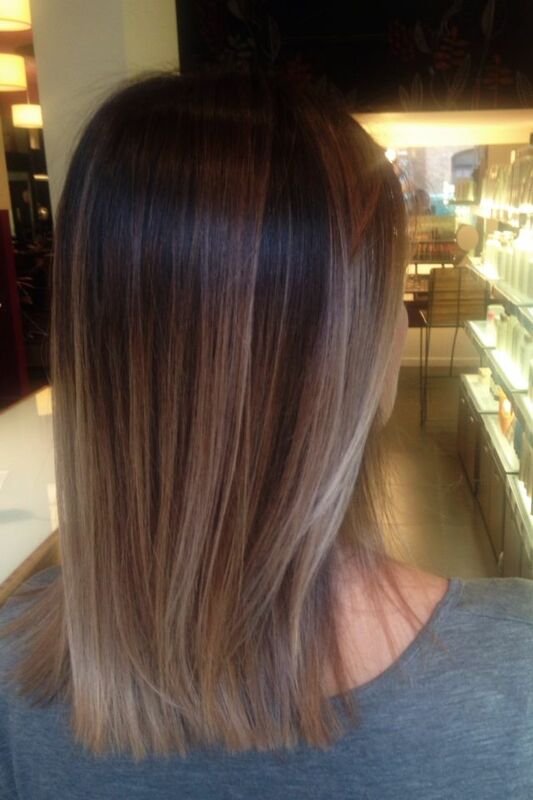 This entry was posted in Hair and tagged balayage, hair color, hair trends, ombre, sombre. Bookmark the permalink.